A 1.5 carat diamond ring is a classic symbol of love and commitment. Browse engagement rings to find your favorite style to pair with a 1.5 carat diamond. 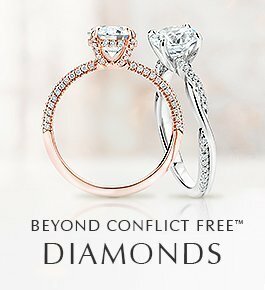 View the price, setting, and diamond characteristics of our recently purchased 1.5 carat diamond engagement rings, and get inspired to create your own ring by seeing 1.5 carat round diamonds, princess cut diamonds, cushion cut diamonds, and other diamond shapes paired with our most popular settings.